Painting has always been an art of expressing the emotions and feelings of an artist. Painter is one who always plays with colors and its surroundings. He split the colors of joy on a plain canvas to make it vivid and lively. He adds life to it. Paintings have always added a touch of glory and joy to the walls and also to the life of the people. 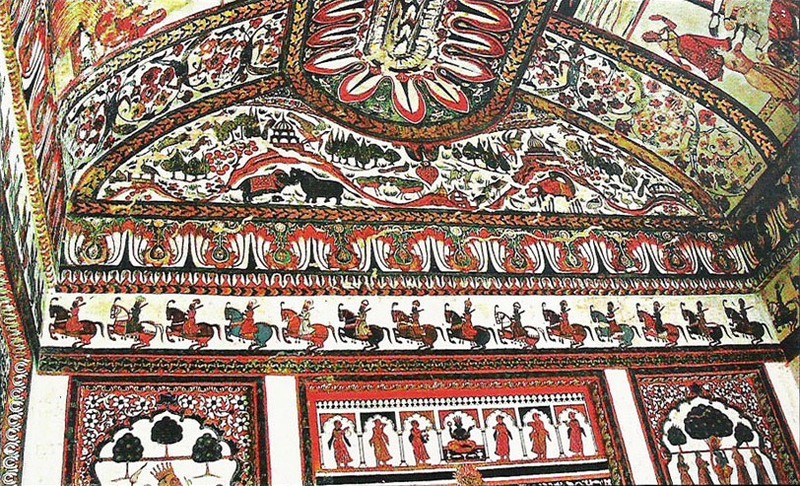 The temples, palaces and forts of this ‘Hidden town’ Orchha are adorned with the paintings called as Bundela Paintings. Bundela Paintings have touched all the aspects of life and has all the religious overtones. The intricate details of the subjects, dresses and ornaments are worth noticing. Guests can savor the magnificence of Bundela paintings on the walls and ceilings of Amar Mahal. The Amar Mahal Museum has a rich collection of sculptures and paintings. Each monument in Orchha is adorned with paintings containing a rich treasure of Tirthankaras and Hindu deities that speak a lot about the whole-hearted love and affection of the artists in bygone era. But the best specimens of Bundela paintings can be seen at the Laxmi Narayan Temple and Ram Raja Temple, located at Orchha. The temples, walls and ceilings are adorned with some fine examples of this exquisite painting style. 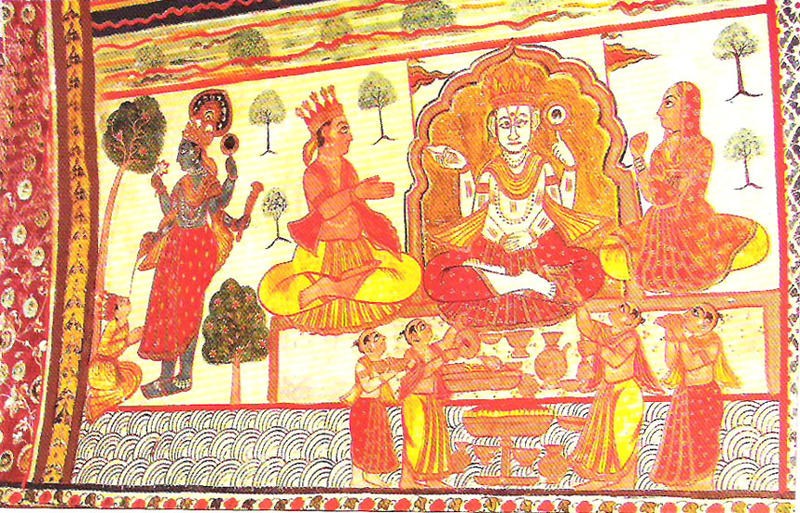 Lord Ram seems to be the favorite god of Orchha as the maximum paintings have featured him. Surprisingly, Orchha is the only place in the world where Lord Ram is worshiped both as a God and a King. 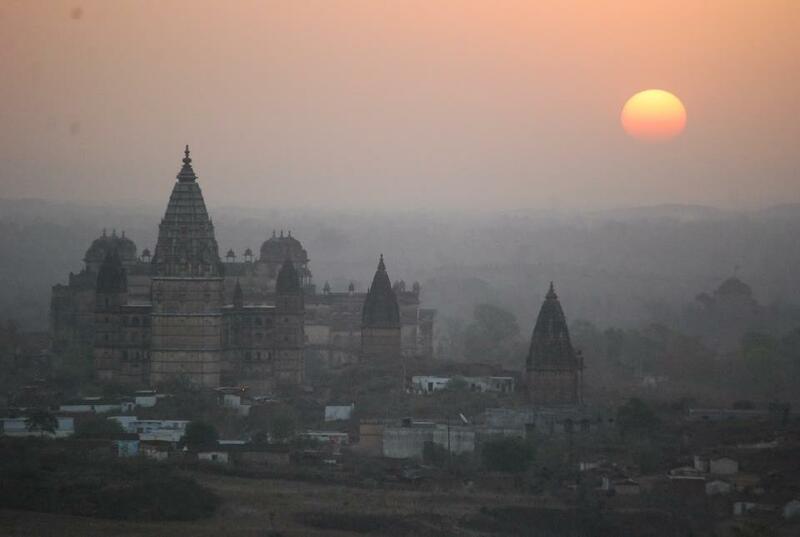 Plan a vacation to Orchha which is a perfect getaway to explore and reinvent the royal history. Orchha, a city located on the banks of the serene river Betwa, combined with its rich collection of medieval palaces, forts and temples, makes it a perfect place for a vacation to witness some of the greatest artwork and heritage from medieval era. The photogenic corners of this beautiful place ensure fine memories and fun. Apart from its architecture and serenity, this place has so much to offer. Madhya Pradesh has a rich tradition of craftsmanship. To give a source of income and recognition the government had taken certain measure and one of them is setting up of TARA in Orchaa that stands for Technology and Action for Rural Advancement. It is a handmade paper plant that manufactures different kinds and types of handmade paper and then exported to different regions of the country. Handmade paper has a unique look and texture that sets apart from machine made paper. The beauty of handmade paper is commendable and the distinctive, tactile surface makes it special establishing a niche on the platform of paper industry. This plant situated in Orchaa follows an eco friendly process to manufacture the hand paper by recycling the waste paper and cloth, tree-free fibers such as cotton and dry leaves and petals. And then comes the imagination and creativity of the people which gives rise to the beautiful pattern, texture and color. Paper was first invented in China using mulberry and other bast fibres. Soon it became an art. Paper now comes in different shades, shapes and sizes depending on its purpose. Now days it has become one of the basic necessity of life. Today the latest trend is of handmade paper. 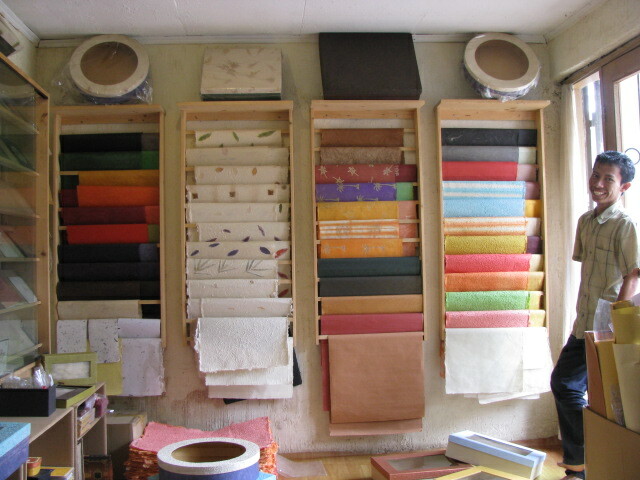 Handmade papers are self textured papers in different colors and designs. It is slightly thicker than the normal paper that we use and also very strong. With the changing fashion trends and needs, handmade paper is now used in wedding cards, stationary items, gift boxes, paper bags, envelopes, handmade paper stars, handmade paper photo frames, lamps, photo albums etc. 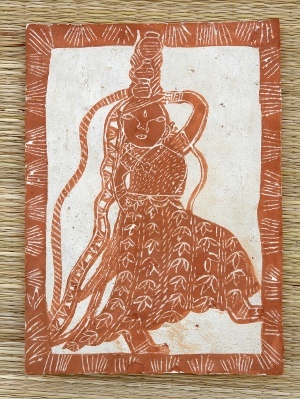 Another and very interesting fact is that some of the women of the area do painting with clay and vegetables on a handmade paper. Each painting is a unique expression of their imagination. TARAgram Orchaa is a hub of such kind of activities that helps in increasing the tourism sales thus increasing the status and dignity of the locals and their tradition.